Since students come from so many backgrounds and experiences, its always a good idea to define some terms to get everybody on the same page. Students will be introduced to the concept of sequential art. They will hear a short presentation on the definition of Sequential Art and Comics. Then students will break into partners and arrange several images provided by the instructor into a brief story. The stories will be posted on a bulletin board or projected using a document camera so the rest of the class can see the stories. 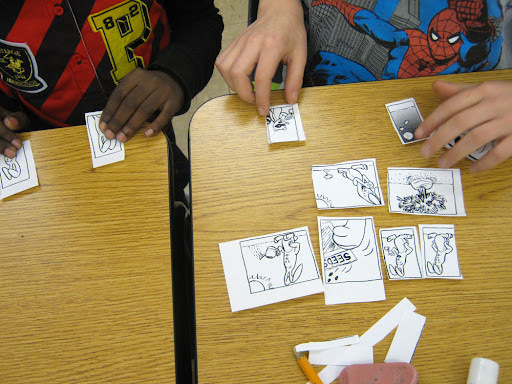 Then, students will work in pairs and using the images from the worksheet below, create a brief narrative. Students should cut out the images and put them in an order of their choosing. They can use some or all of the panels. Once a sequence has been decided upon, the panels can be glued or taped to a blank piece of paper. 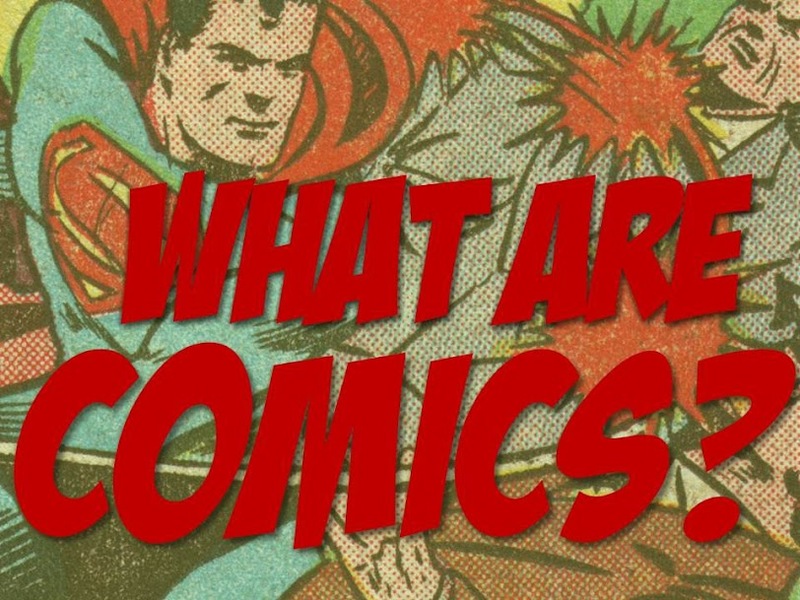 This entry was posted in Lesson Plans, Making Comics, Resources, Resources. Bookmark the permalink.